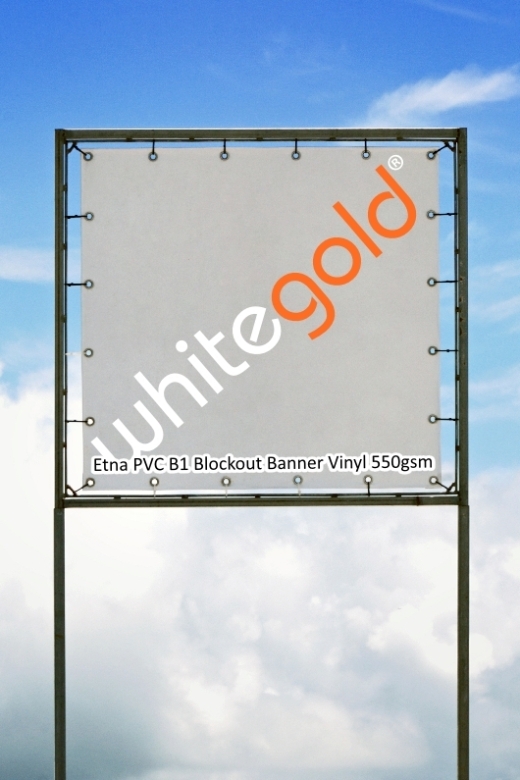 Etna PVC blockout B1 fire rated wide format banner vinyl 550gsm has a light blocking internal layer giving opacity for double sided banners and hanging signs. Etna lightblock PVC banner prints great with all eco-solvent, solvent, UV & latex inks. Available in 2 widths on 30m rolls.